Two days after becoming only the third man batting at No. 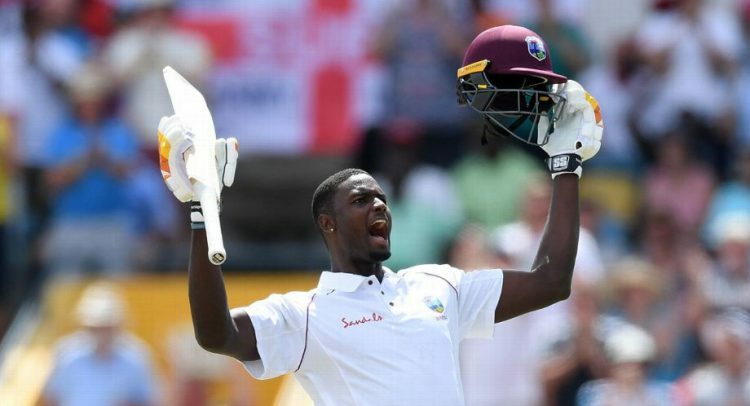 8 or lower to score a Test double-hundred, West Indies captain Jason Holder has emulated Sir Garry Sobers in achieving the top spot among allrounders in the ICC Test rankings. Holder broke several records and the England attack, fashioning West Indies’ third-biggest victory in terms of runs, at the Kensington Oval, his home ground. All of this has helped him become the first West Indian to be ranked No. 1 among Test allrounders since Sobers held the top spot in March 1974 in the retrospective rankings. Holder leapfrogged Bangladesh’s Shakib Al Hasan and India’s Ravindra Jadeja and now has 440 points – 25 more than the second-placed Shakib. Holder also made gains on the batting front, jumping from 58th to a career-best 33rd. Wicketkeeper-batsman Shane Dowrich who put on an unbroken 295-run stand with Holder – the third-highest for the seventh wicket in Test cricket – also moved to a career-best 47th from 61st among batsmen. Fast bowler Kemar Roach and offspin-bowling allrounder Roston Chase, who also played key roles in West Indies’ memorable win over England, rose to 20th and 41st respectively among bowlers. Pat Cummins, who picked up a career-best match haul of 10 for 42 to rout Sri Lanka in the pink-ball Test in Brisbane, leapfrogged South Africa’s Vernon Philander to third place in the Test bowlers’ rankings. His 866 rating points are the best by an Australia bowler since Ryan Harris reached 870 in March 2014. Meanwhile, Sri Lanka seamer Suranga Lakmal, who took 5 for 75 at the Gabba and achieved his dream of a five-wicket haul in Australia, moved up two places to 31st.